Dr. Morelle is a brilliant criminal psychologist with an attitude. He is a detective you will love to hate. Dr. Morelle started his radio life on the radio during World War II as a haughty, cool criminal psychologist whose cases were as intriguing as he was irritating. His secretary, Miss Frayle, helped him in his work since she was the only person who could deal with him. The show was part of the enormously popular Monday Night at 8 series. In 1957, the network decided to bring back the good doctor for a 13 week run as a comedy-detective series, A Case for Dr. Morelle. It was a smash. 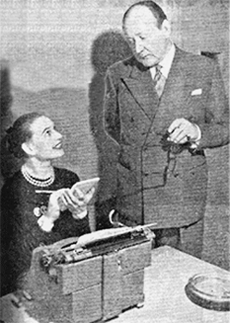 This series featured Cecil Parker as Morelle and Sheila Sim as Miss Frayle. 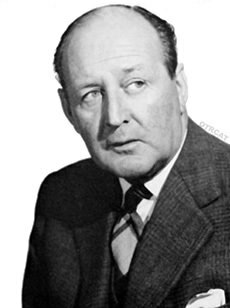 Parker was a successful film actor who started out specializing in supporting roles eventually moving into starring roles after the Second World War and, as he got older, in roles for powerful men with position. He could play it straight or comedic. The show picks up many years later after Miss Frayle has moved on and the doctor has moved through a series of secretaries. After having just lost his last secretary who accused him of being made of "clockwork", Miss Frayle walks in the door with a case. He and Miss Frayle work to solve the case bringing back good memories of working together. Dr. Morelle was conceived in a cellar in Bristol during an Luftwaffe air raid by Earnest Dudley. Dudley was an actor, screen writer, and novelist. Morellea character Dudley described as "the man you love to hate" was a very successful character for Dudley. He wrote five detective novels about Dr. Morelle and a stage play. Be the first to comment on "Case For Dr Morelle"